When it comes to your home, every choice is an investment. From the furniture to the fixtures, you want décor that you’ll love every time you see it. Your floor is no exception. We’re here to help ensure that your love of your floors never wavers. Prior to Contract Carpet One, our founding father Louis Zanelotti designed and set some of the most beautiful tile floors in the country. From such historic sites like the National Cathedral of the Immaculate Conception in Washington, D.C, Contract Carpet One has laid in place premium flooring solutions for more than 80 years through three generations of master craftsmen. While Contract Carpet One lives up to its name when it comes to quality carpet, our staff are experts in all flooring, including tile floors. Every one of our tile options is distinct and made to last. Imagine coming into your kitchen after it’s been outfitted with an exotic tile that resembles stone. Your family, friends, and guests are guaranteed to be impressed, but most of all, you’ll appreciate your investment whenever your feet graze the smooth, stunning surface of your new tile. Are you dreaming of a gorgeous tile floor, or just looking for a simple facelift to cover up an beat up existing floor? And you can forget about your floor wearing down over time. The tiles we install are designed to last for ages. To back our promise, all of our floors come with a number of different warranties, including a No Questions Asked Replacement Warranty (the Beautiful Guarantee). If for any reason you’d like to change your tiles to a different style, we’ll take care of it. That’s right! No catch. No hassle. You get what you want – it’s our pleasure, and our promise. What makes Contract Carpet One tiles superior and long lasting? Appeal – Beauty is timeless, and with tile, you’re making an investment that will forever retain its charm. Its been used in the most exquisite locales around the world for centuries, and now, you can bring the exotic splendor of tile right to your home. 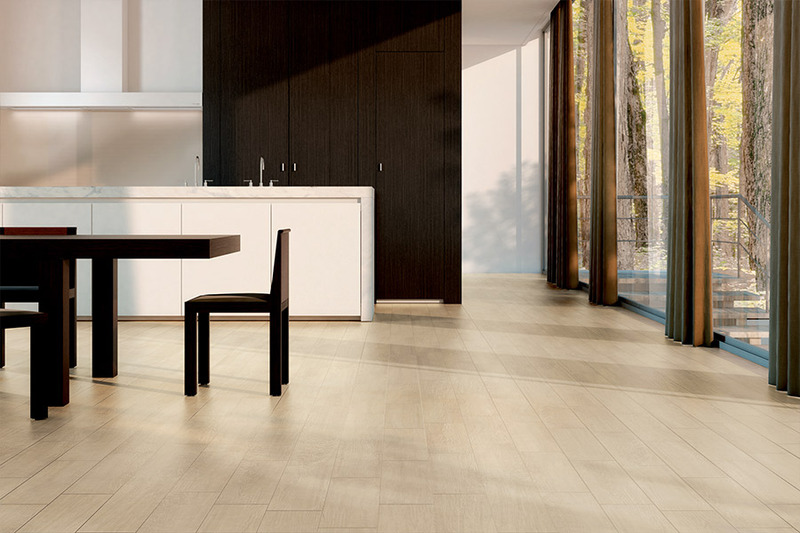 Resilience – Tile is one of the most practical flooring options there is. Its durability is unmatched, and easy cleaning and care make it a great choice for any home. This is perfect if you have young children or pets in your home, as spills are resolved with ease, and you’ve got no stains or wear patterns to worry about – truly a win-win! Versatility – There is nothing that affords you more creative opportunities and options to express your design vision than tile. Porcelain, ceramic, and stone tile all come in an almost endless number of varieties, and the patterns can be arranged, mixed, and matched to in any room to suit any style. Create and elegant ambience in a smaller room, or knit the theme of a larger room together by using a combination of different styles. 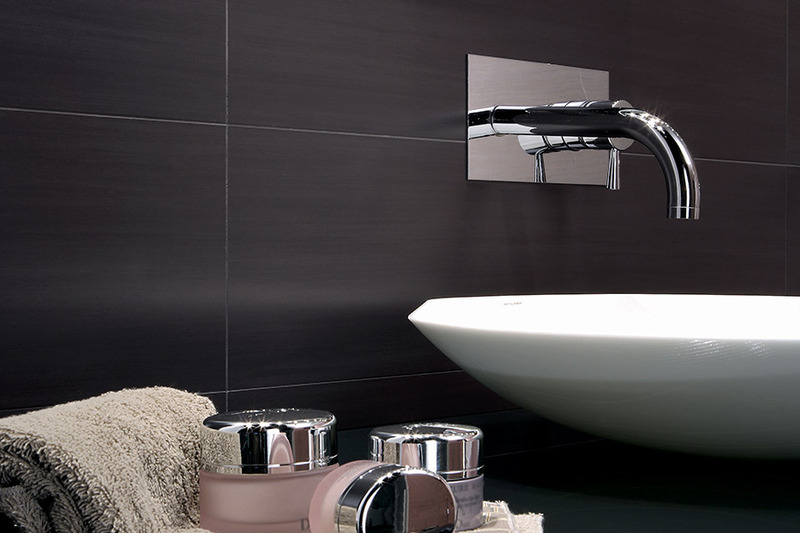 Bathrooms – The waterproof nature of tile makes it an ideal choice for your bathroom. Be sure to choose a tile with a slightly rougher surface texture to prevent slips, injury, and better footing when wet. You don’t want to enjoy your new tile floor from that close! Kitchen – Though a popular kitchen option is a lighter look, don’t be afraid to include bold colors or accents. It can be as simple as the occasional colored tile to tie together a theme, or an all-out approach with rich, vibrant colors – the choice is yours, so show off your personality. Think outside of the box! – Just because tile goes great in these two areas doesn’t mean that is the only place it should be. Living rooms, basements, or even bedrooms are great candidate for a stylish tile makeover. Just add a few area rugs for warmth. 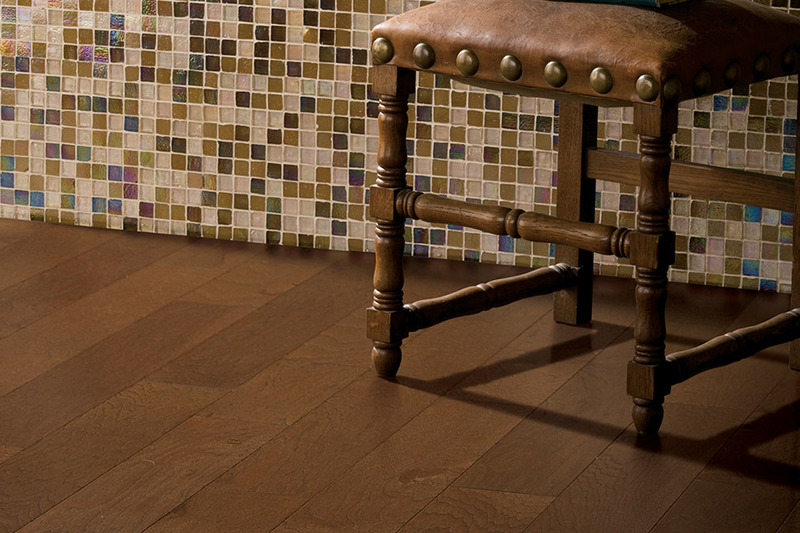 This is a great choice for a floor that is trendy, and easy to maintain! Ceramic & porcelain tile have been around for thousands of years, with many of the same benefits available then as now. High quality, all-natural materials are put together and then the tiles are fired in a kiln to create a dense hard product with great resistance to water. After a glaze is applied, they become not only highly resistant to most messes, they are also hypoallergenic. This is why they are so often seen in schools, cafeterias and delis, hospitals, and a variety of other settings in which health is a top priority. 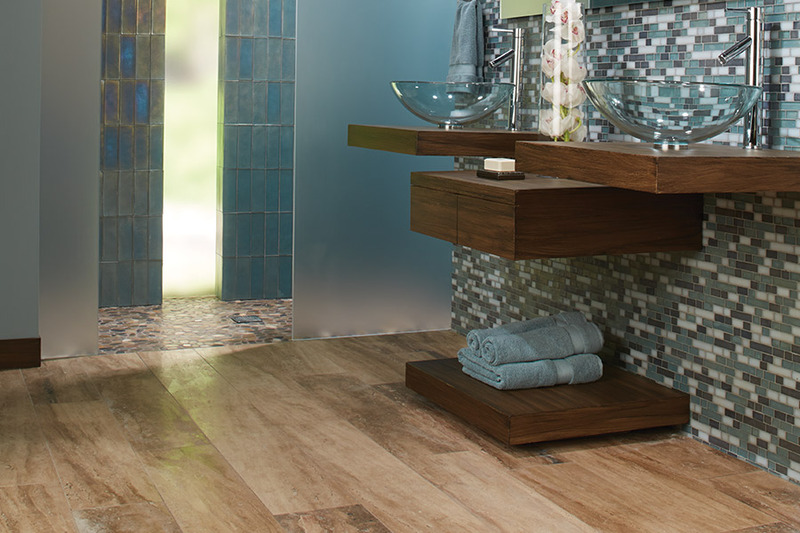 Porcelain affords a gorgeous, natural look that is perfect for many homeowners. A clear glaze allows the natural color and pattern variation to shine through, while the through-body color means that many cracks and chips will be hidden from the discerning eye. It’s an excellent choice for those who want a more natural look, and it blends in well with a variety of decor and design options. Ceramic is used to create highly artistic spaces. Also made with a variety of high quality products, it does not have the through-body color. Because of this, it is covered with brightly colored glazes after firing, and adorned with a variety of colors, patterns and designs. With these tiles, you can go from a solid color floor scheme, to the most intricate mosaic, and it’s always a great conversation starter. 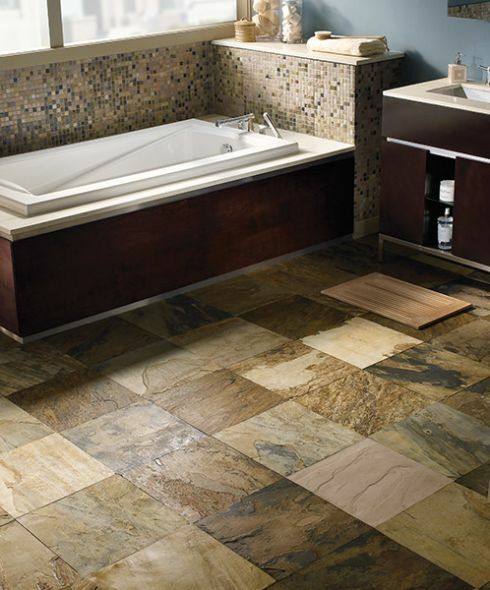 You won’t be disappointed by a choice for ceramic & porcelain tile. We’ve helped our community make the best investments in flooring for more than 30 years; now, we want to help you! We’re the most trusted flooring professionals in the Washington, DC and Beltsville, Maryland area. Contractors, business owners and homeowners all rely on Contract Carpet One for their tile flooring, selection and installation needs. There are no hidden fees, so tile consultations, removal, and installation are all priced in a fair and honest way. Oh, and did you know that we’re your neighbors? That’s right! Our store is locally owned and operated. We know the community and your needs. We have a commitment to giving you the best service, unbeatable prices, and outstanding warranties. Our areas of service include: Washington DC; Beltsville, Maryland; Bethesda, Maryland; Bowie, Maryland; Chevy Chase, Maryland; Colesville, Maryland; College Park, Maryland; Greenbelt, Maryland; Kensington, Maryland; Potomac, Maryland; Rockville, Maryland; Silver Spring, Maryland; Wheaton, Maryland; and White Oak, Maryland. There is a decorative element with all flooring types, to be honest, but with ceramic & porcelain tile, it’s as if a whole new element is opened up. It comes with some amazing benefits that are sure to be useful to any homeowner, in addition to style, elegance, and a life span you’ll be happy to have installed in your home. In fact, this could be just the flooring you’ve been searching for. Contract Carpet One is more than just a flooring store. We not only offer an abundance of gorgeous and functional flooring, we are a cooperative that partners with a variety of manufacturers and mills. 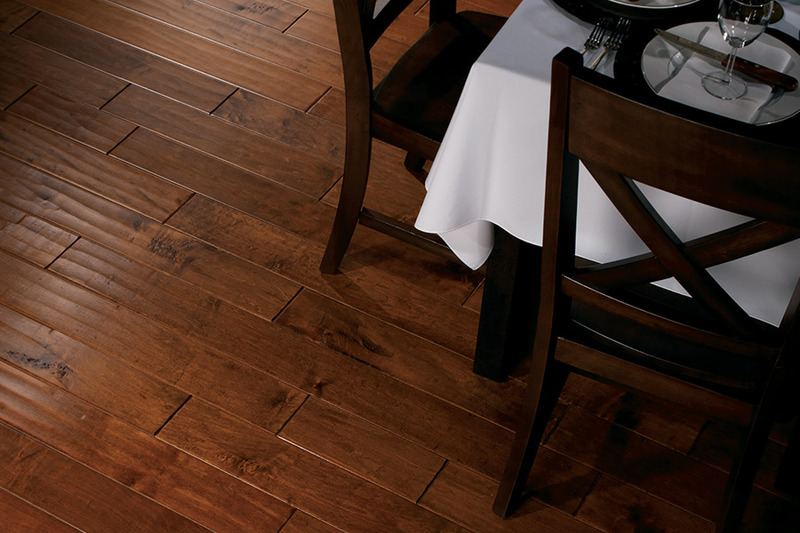 This allows us the opportunity to bring you the largest selection of flooring at the most affordable prices. We have already been doing this for our customers from Silver Spring, Laurel, Rockville, Beltsville, and Washington, DC, and we look forward to serving you as well. Stop by at your convenience.